The City of London Corporation and Amey, who are responsible for the waste collection, cleansing and recycling for the City of London, are singing the praises of vehicle safety technology from British manufacturer and supplier Innovative Safety Systems Ltd (ISS). The City and Amey has been trialling different types of vehicle safety equipment from ISS in recent months, including the RX2 and RX3 DVR Hard Disc Recording camera systems and most recently Cyclear™, the latest and arguably most effective cyclist safety warning device for preventing accidents between HGV’s and cyclists. The City of London is a CLOCS (Construction Logistics and Cyclist Safety) champion and is actively implementing the requirements within the Standard for Construction Logistics in managing work related road risk. CLOCS recently ran a *Progress Event at ExCel in London where ISS were exhibiting and visitors could see Cyclear in action. The Authority is also FORS (Fleet Operator Recognition Scheme) Gold Accredited, which means its fleet has met with the highest possible standards of lawfulness, safety, efficiency and environmental protection. 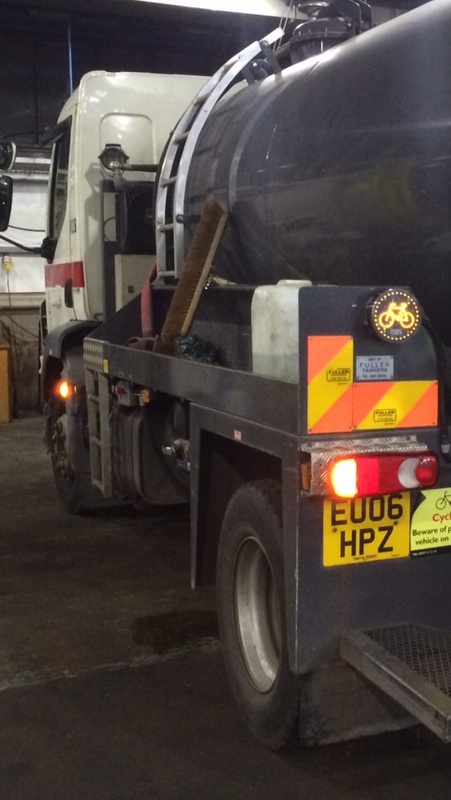 After four years of research and development Cyclear is the only Cyclist Warning Display System to be designed from the ground up to address the danger of accidents involving HGV’s and cyclists. The system engages both cyclists and drivers, placing equal responsibility for the avoidance of accidents. The system comprises two elements: an illuminated sign and speaker to alert cyclists that a vehicle is turning left; and an optional sequencing sensor, which alerts the driver when a cyclist is approaching. Customers can choose to install either one or both elements on their fleet depending on budget and requirements. Every organisation that has trialled the system, whether local authority or private sector, has gone on to specify the technology on some or all of their fleet. A growing number of Cyclist lobby groups have also voiced their support for the system. authorities and private waste operators in the UK.